Despite video released by Hamas-led committee organizing the riots along the Gaza border, which calls the Palestinians to attend Friday’s protests, talks held with Egypt and Israel’s warning further escalation would lead it to launch military campaign in strip is likely to curb clashes. Despite the official call of the “March of Return” campaign’s organizing committee to attend the weekly Gaza border riots, Hamas is expected to tone down the display of violence in comparison to last week’s demonstrations, according to Palestinian sources. The sources added that talks held with Egyptian intelligence heads and Israel’s warning that further escalation in the strip would force it to launch a military campaign in Gaza, would prompt the terror organization to curb the violent skirmishes. The video calls the Palestinians to attend Friday’s riots in droves. Israeli decision-makers believe that restraining the clashes along the border fence would restore calm there. Skirmishes resembling to last Friday’s riots, during which the Palestinians placed an explosive device on the fence, with 20 of them breaching it, and prompting the IDF to open fire, would obligate Israel to launch a limited military campaign in Gaza, a credible source told Ynet. 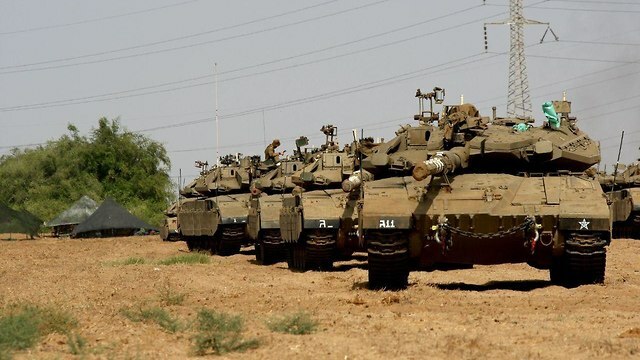 On Thursday, it was reported that the IDF had started ramping up its armored forces along the Gaza border in a daylight show of force following a Security Cabinet decision to escalate retaliation for any violent incidents originating in the strip. 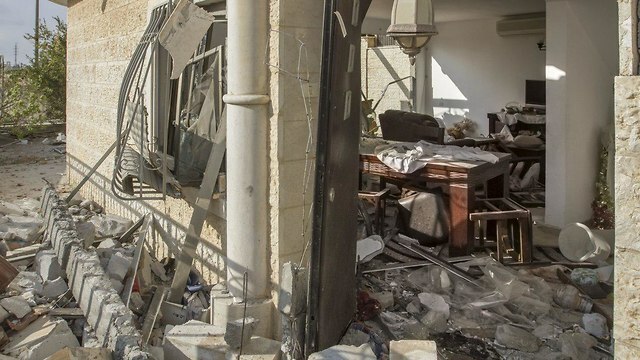 The Security Cabinet convened Wednesday in Prime Minister’s Benjamin Netanyahu’s Office to discuss possible security development following the rocket fire launched from Gaza, hitting a house in the city of Be’er Sheva and the sea off the coast of a city in central Israel. In retaliation, the IDF attacked Wednesday morning over 20 targets, including a terror tunnel in the Gaza Strip. This entry was posted on October 19, 2018 at 10:41 AM and is filed under Uncategorized. You can subscribe via RSS 2.0 feed to this post's comments. You can skip to the end and leave a response. Pinging is currently not allowed.